Something new I learned this weekend? 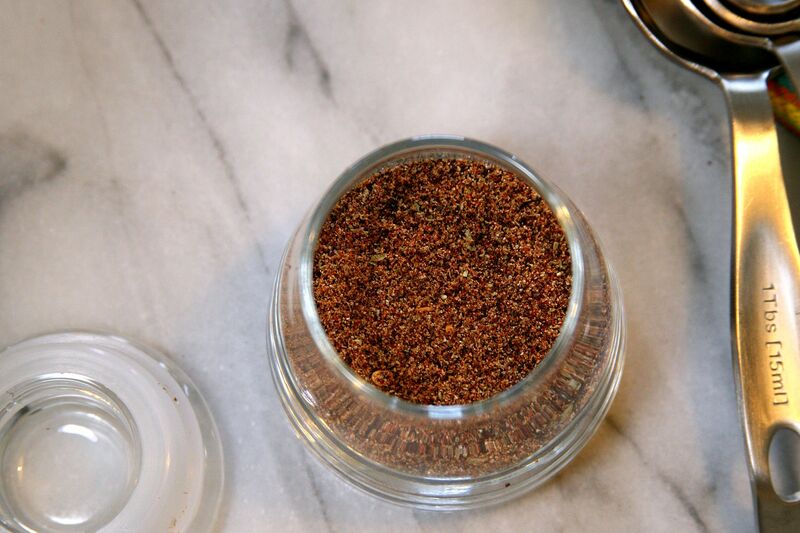 Homemade taco seasoning is better than the store bought packet of seasoning in every way! I suspected it would be and I have no good answer for why it took me such a long time to finally make my own. I’ll go with ‘because we don’t cook Mexican food that often’. However, that might be a change in our menu around here now that I have a healthy and cost effective way to make a delicious seasoning! Not to mention, it takes about 5 minutes to make and you probably already have all the ingredients in your cupboard! And of course, I had to buy some cute airtight jars to store the seasoning in so I picked up a couple at my favorite nearby store! Yes…Crate and Barrel 🙂 I decided to make this seasoning now, because I wanted to use it in a dressing for a southwestern chopped chicken salad; that yummy recipe will be added soon so stay tuned! Store in an airtight container and use in salad dressings or as the packet of seasoning would be used with meats, etc.